This year give your patients and office personnel the gift of laughter! Write the best prescription for your next presentation! Use Minnie Pauz cartoons to get your point across! other than show the cartoon in a slide presentation please contact me to discuss your project. 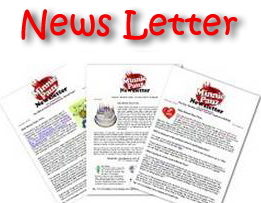 "I would strongly recommend using some of the cartoons from Dee Adams at www.minniepauz.com. Her website is incredible and the cartoons so relevant. I use many of them in my presentations..... particularly the one where Minnie describes herself "Oh well, 1948 model, chassis needs work, but engine still hums under the hood." " I just wanted to let you know that my presentation went well. 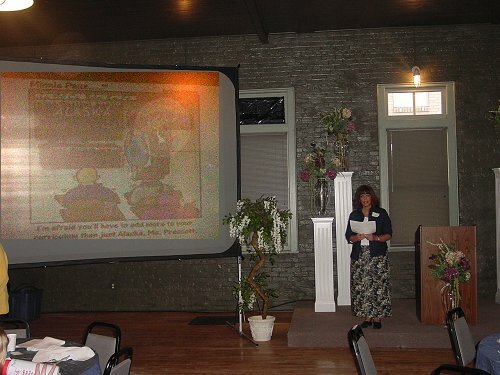 Your cartoons enhanced my presentation! I showed them at the end of my presentation and the participants LOVED them! They laughed and thought the cartoons were GREAT!!!!!! One participant commented on them for about 10 minutes after my presentation stating, "Thanks for making me laugh and get through this time of life." "Some of the stories and symptoms I hear about from my "reproductively challenged" patients are truly disturbing. 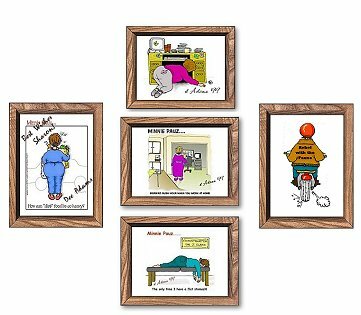 When I use the Minnie Pauz cartoons in my presentations it really helps break the ice as well as set a tone with the audience that helps loosen everyone up a little. These cartoons are insightful to a degree that women (and some men) really appreciate." 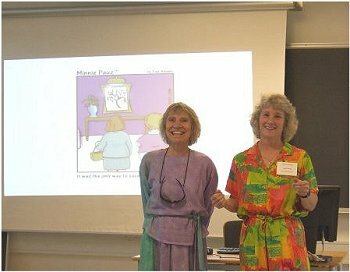 "The cartoons have greatly improved my presentation (Soy-an Ancient HRT?, one to fulfill the requirements of Women's Health Clerkship at Dartmouth Medical School). They added much needed humor to the review of current scientific facts about soy and menopause. By using them to break off each topic, the listener had a nice chuckle between each part of the presentation and then was able to concentrate on what I was trying to say. 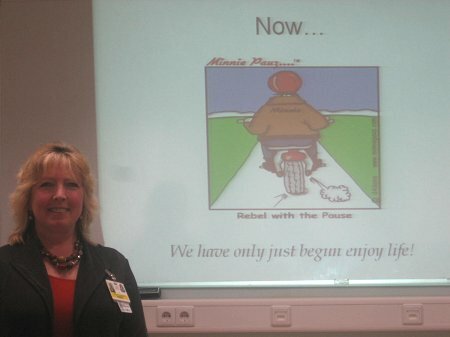 It made the presentation much easier to listen to and much more fun for me to create and present it." "I'm an endocrinologist and I live in Brazil. Last Uptodate Congress ( October in Philadelphia) I watched a wonderful lecture that was enriched by your cartoons shown on the slides." How can these 5 pictures help your practice? Click here to find out!